If you stopped by my blog facebook fan page recently, you would've seen how many zucchini I've been harvesting from my garden. Pretty much everyday I've been making something with them, many of them new recipes. I have tried to take pictures as I make things so I can share the recipes with you. So stay tuned, I will be posting more in the days to come! Today's recipes are easy ones. 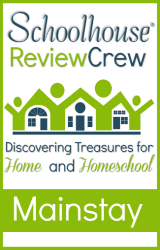 The first up really isn't a recipe and one that you can really customize to your own tastes. While this says roasted zucchini, it's actually roasted veggies. This batch above didn't have some of the veggies I typically put in as it was a throw together supper that night so I was in a hurry. Typically though, I throw in peppers, onions, mushroom, broccoli, cauliflower, carrots, zucchini....well, really any veggies I feel like roasting! I chop them into large chunks & drizzle olive oil over it all. Sometimes I also drizzle some balsamic vinegar over as well. I sprinkle them with salt & pepper, sometimes some garlic powder/salt or even old bay. Really, you could do about any seasoning. Lay them on a large pan or cookie sheet. You don't want the veggies stacked or they will steam instead of roasting. I roast them at 400 until they start looking browned. I usually stir them at least once. Another take on this would be to grill your zucchini. You could either make veggie kabobs with an assortment of veggies or just skewer sliced zucchini. Season the same way (or cheat & use a spray olive oil then sprinkle with seasonings). Looking for a cool, refreshing summer side dish? Check out my twist on a classic Pa dutch dish. 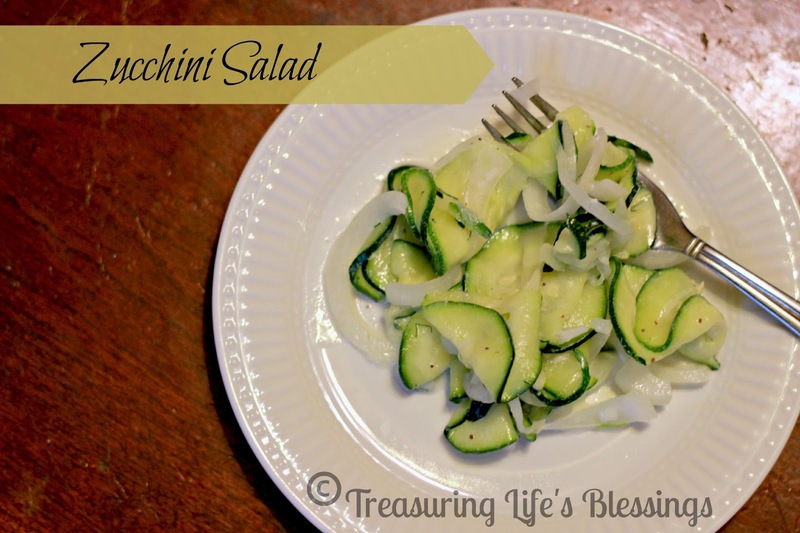 This typical recipe uses cucumbers but since zucchini is so versatile (and I was harvesting it long before my cucs) it worked great in this recipe. Put these together in a strainer/colander and sprinkle salt over both. Let sit at least 30 minutes to draw out excess water (otherwise your salad will be soggy. You'd do this also with cucumbers). Stir till sugar is dissolved. Toss with the veggie mix. Add some salt & pepper to taste. I also add a bit of celery seed. Cover & chill for a few hours. 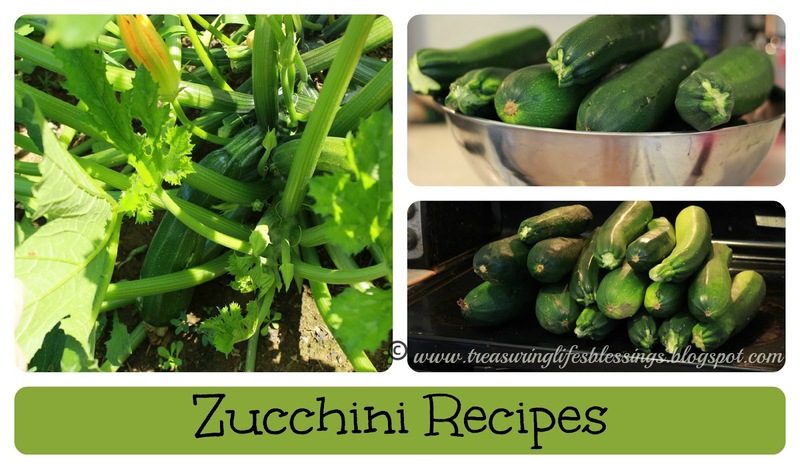 Keep your eyes peeled for more zucchini recipes coming!! Yum! I combined two recipes and did my own thing for the soup, but it's chilling now. Dinner tonight is done! I'll probably post my recipe soon. 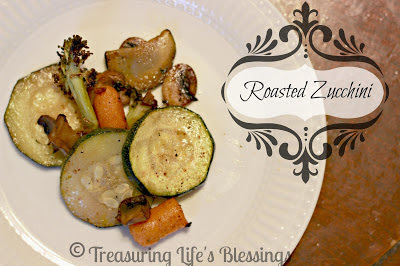 I only discovered how delicious and easy to prepare roasted veggies are last year. I'll have to try adding fresh squash to our tray. Happy Birthday Noah & Olivia! Reflecting on this date. . .